This mushroom burger recipe is adapted from "Lisa's Mushroom Burger" in weheartfood.com, and to call it a veggie burger doesn't do it justice. Veggie burger recipes tend to be bland and boring, but this meaty mushroom burger's heft and spice make it anything but. Heat 1 tablespoon olive oil in large saucepan. Saute the mushrooms, onions, and garlic over medium heat for about 10 minutes, or until the liquid boils off and the mushrooms begin to saute. In a large bowl, add the mushroom mixture to the oats, Parmesan, breadcrumbs, eggs, parsley, oregano, salt, and pepper. Mix well. Allow to sit for 15 minutes to develop the flavors. Heat 2 tablespoons olive oil in a large non-stick skillet over medium heat. Fry the patties, cooking about 5 minutes on each side, or until golden brown. Mushrooms are fungi, and they get their energy by breaking down and eat dead organic matter, but they are nutritious and delicious, as long as you don't think about the fungi business. They are low in fat and calories, with a pound having about 125 calories, but high in protein content. That's why they're so often used in veggie burgers or other dishes for a meaty flavor and protein boost but are fine on the vegetarian menu or for anyone who wants to keep an eye on red meat consumption. Button: The small, white mushrooms that you see in abundance in grocery stores are called white button mushrooms. They are mild and earthy, and they are harvested when young. Cremini: Creminis are basically just more mature button mushrooms. They are a similar shape but a little bigger and light brown in color. They have a mild flavor but with a bit more depth than a button mushroom. Portobello: The portobello is the most mature stage of the button mushroom, and while its flavor is still on the mild side, it's meatier. That's why portobellos so often stand in for meat, as they do in veggie burgers. Shiitake: The name of this mushroom is a clue to its origin -- it's grown mainly in Japan, Korea, and China and is used in Asian cuisine. 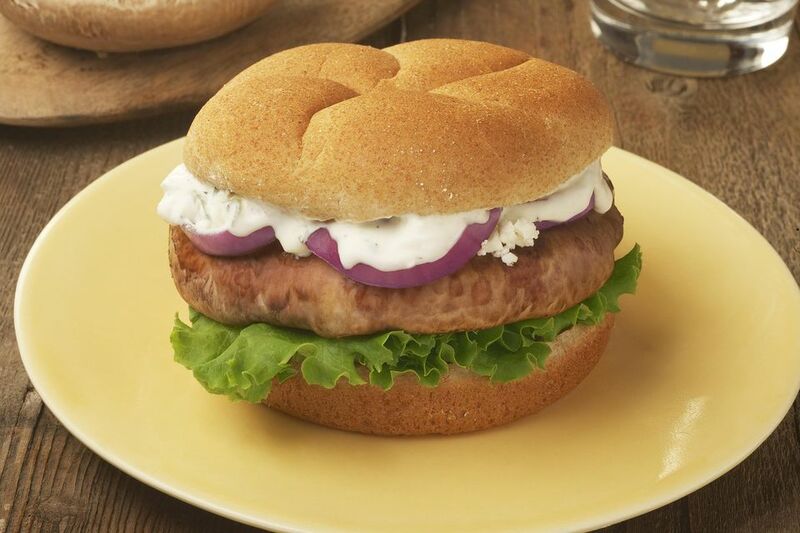 It has a stronger flavor and a meaty texture, which also make it a good candidate for veggie burgers.